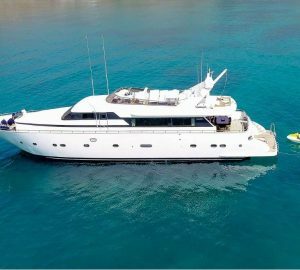 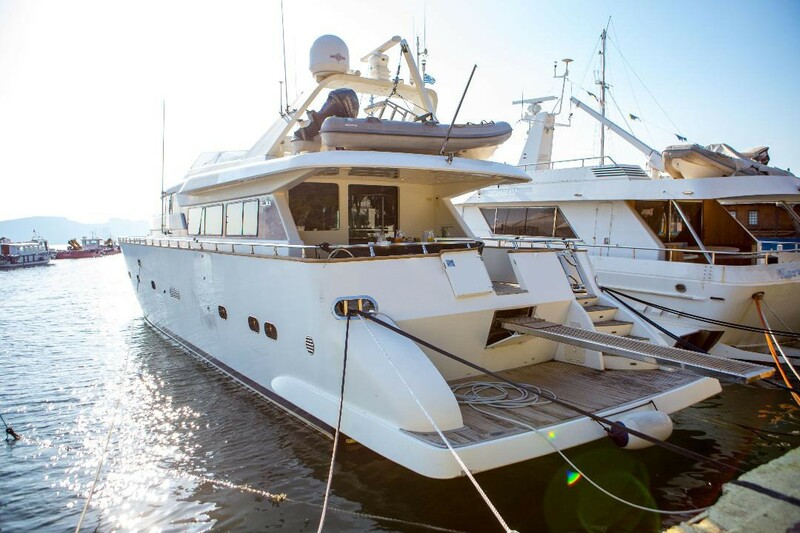 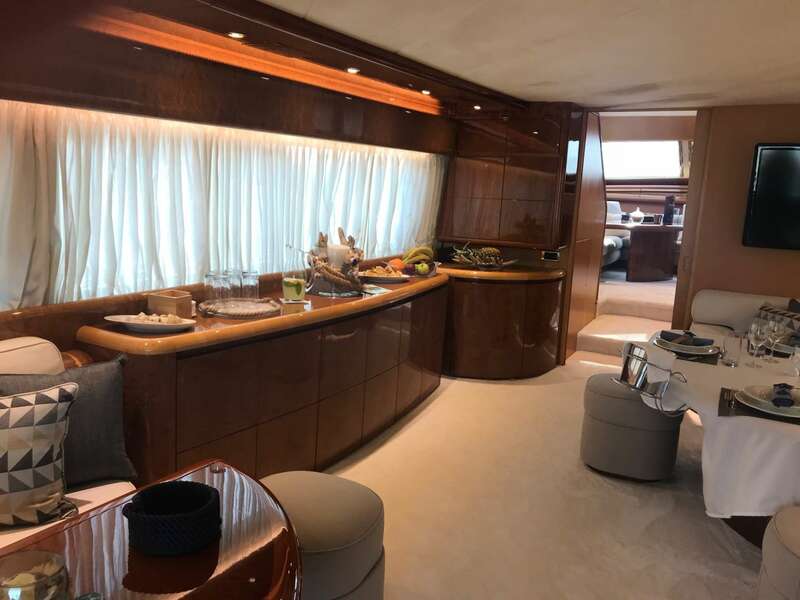 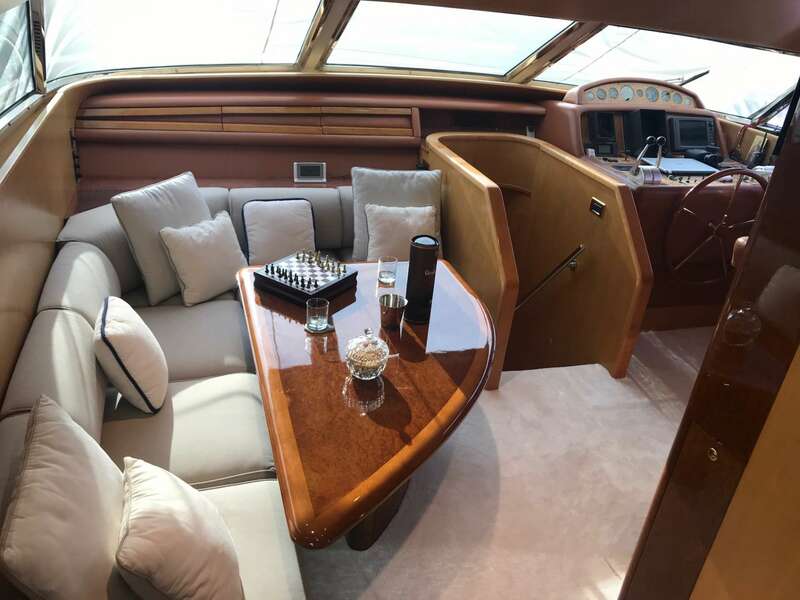 Measuring 26.80m (87' 11") luxury motor yacht ALANDINI is a lovely 1997-built vessel refitted in 2018. 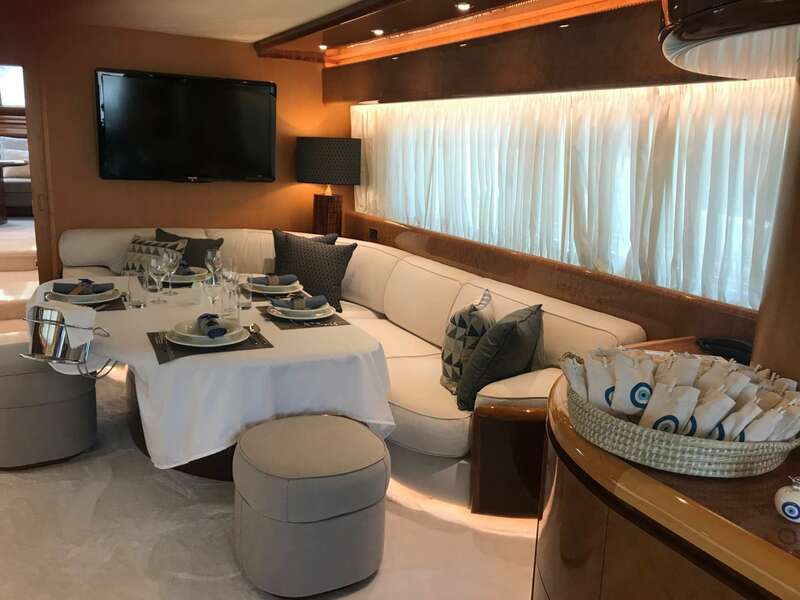 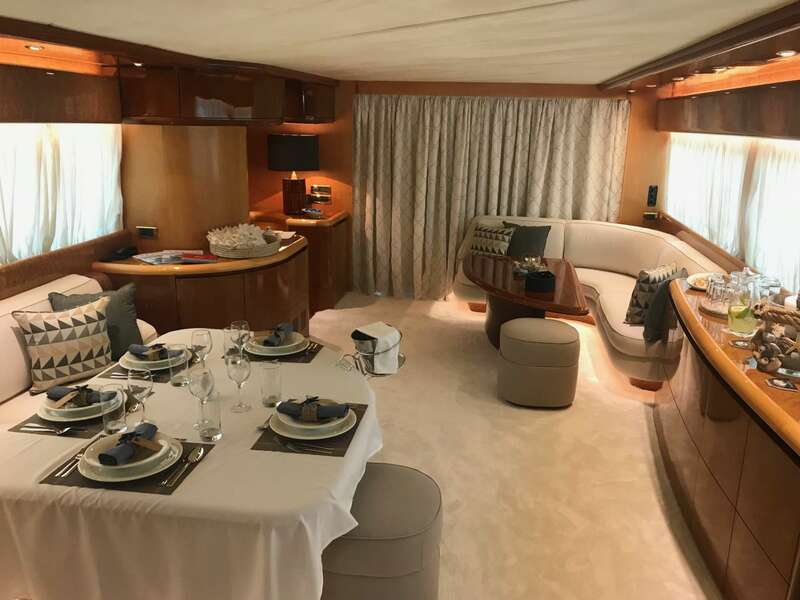 She was built in Italy by Maiora and offers accommodation for up to 11 guests in 4 cabins, with an attentive and professional crew of 4. 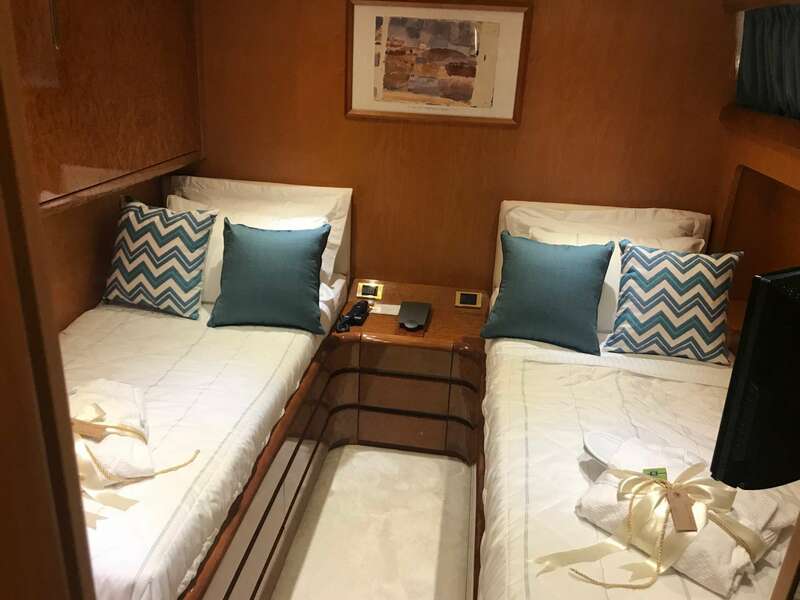 Accommodation spreads over four cabins, sleeping up to 8-11 charter guests in total. 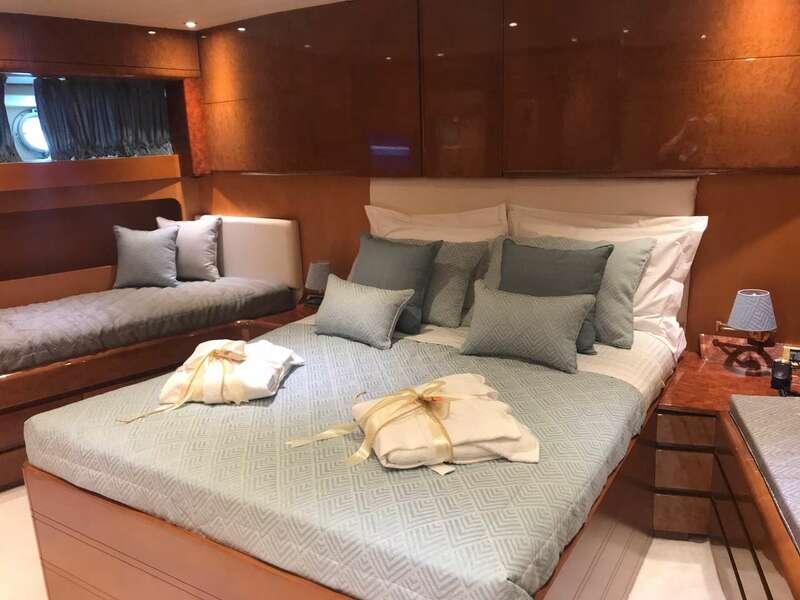 The staterooms include one master suite with a king bed and walk-in wardrobe as well as private ensuite facilities. 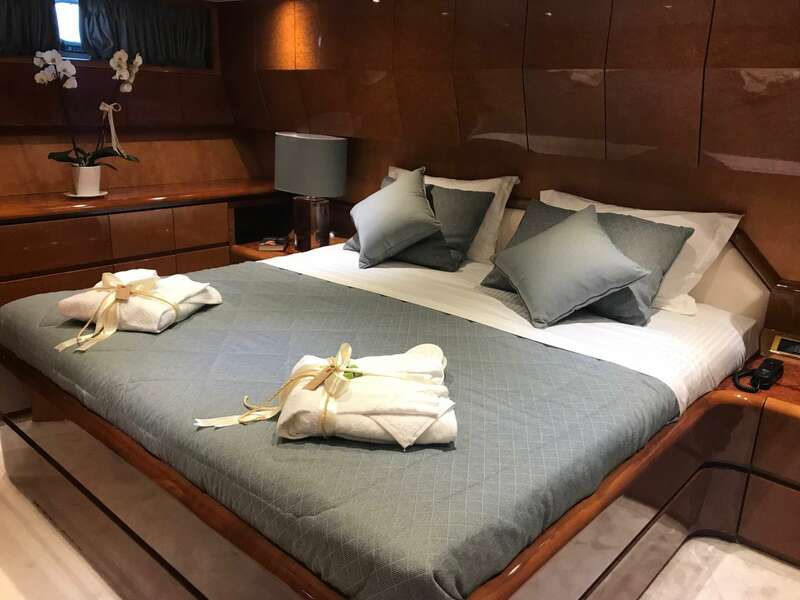 Furthermore there is a VIP stateroom and two twin cabins each with an additional Pullman berth. 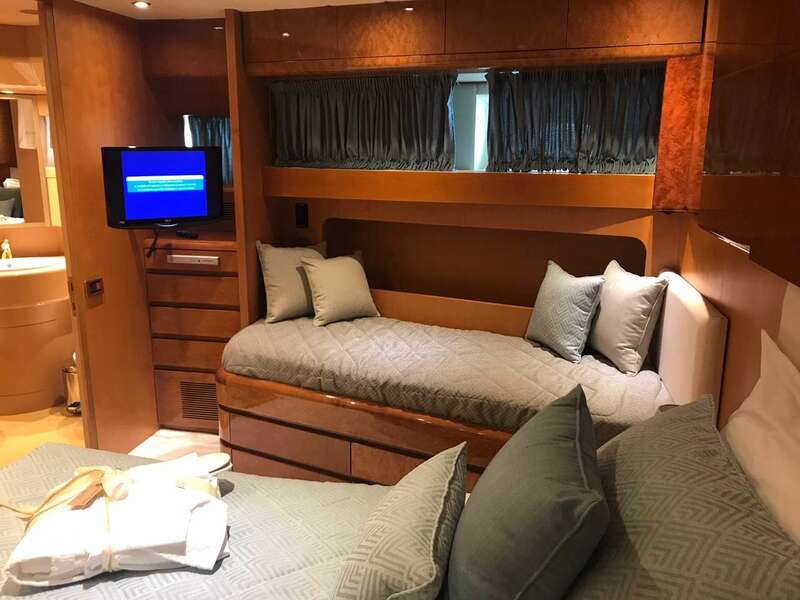 All cabins have ensuite bathrooms and LED TVs.